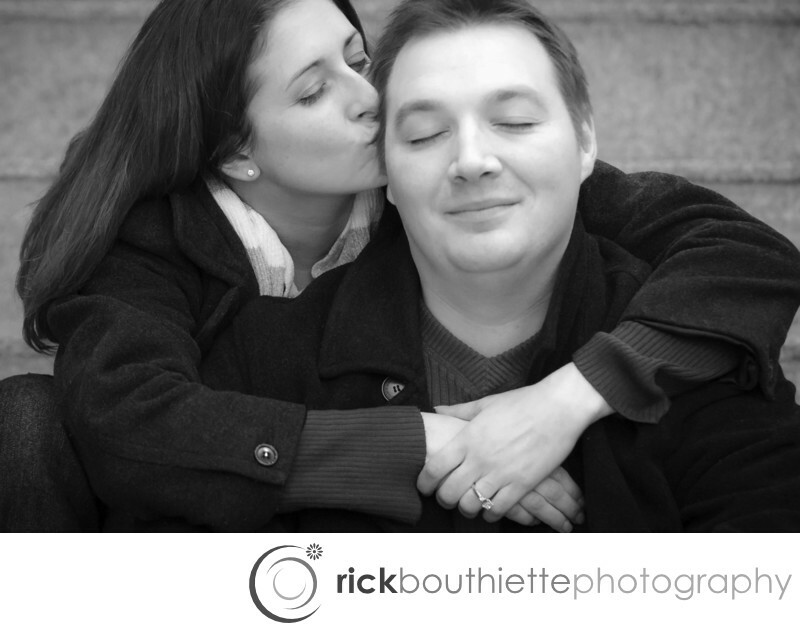 It was a bitterly cold winter day when we met Julie and Shane on the seacoast for their Portsmouth engagement session. We had to keep slipping inside buildings for a warm-up break. Here, Julie shows her love for Shane by throwing her arms around him and giving him a kiss on the cheek.